They will know us for our love. These people do not speak for me and are not following the same God that I know! What an amazing accomplishment. I am not saying he doesn’t deserve it, but this seems more of a political act than a true award of some great accomplishment. Time will tell if he fulfills the call to action. At least he recognizes that it was not the result of his own accomplishment. 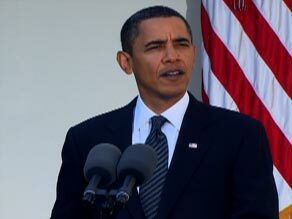 (CNN) — President Obama on Friday said he was “surprised and deeply humbled” by winning the 2009 Nobel Peace Prize. “I do not view it as a recognition of my own accomplishments, but rather as an affirmation of American leadership,” Obama said from the White House Rose Garden.